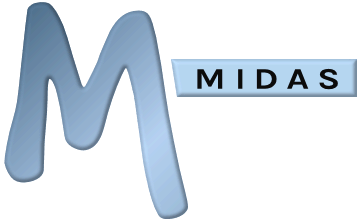 Before purchasing MIDAS for download and installation on your own sever (self-hosted), please ensure that your server meets the minimum System Requirements. We also provide a "Server Readiness" tool to help advise whether your infrastructure is ready for MIDAS. Installing on Windows and need help setting up a server, Perl and MySQL? After you purchase our room and resource scheduling software for download and use on your own web server, we'll send you a link to download our installer script, and a unique "Product Key". Next, open your FTP software, and Login to your web server. Create a new directory along the lines of "midas" (ensuring that this location is writeable to, and executable from). Upload the installer into this directory. NOTE: Be aware that some system configurations will only allow ".pl" scripts (PERL/CGI) to be executed from within certain directories i.e. "cgi-bin". It is also important to note that the location to which you upload & install MIDAS also to needs to be granted "write" permission, as the software needs to write data to this directory. Secondly, if the location of Perl on your server differs from #!/usr/bin/perl, you may need to edit the very first line of the installer to reflect the correct location of Perl on your system. No other part of the installer file should be altered in any other way. MySQL Database The name of the MySQL database on your MySQL server you wish to use for MIDAS. If you haven't already setup a blank database you will need to do so before proceeding: How do I setup a new MySQL database? MIDAS Generated Emails Will Appear Sent From When the software sends automated e-mails, this is the email address they will appear to have been sent from. It is good practice to use the format MIDAS@yourdomain.com here. Note: Your server will need to establish an Internet connection to our registration server in order to validate your Product Key. If you server connects to the Internet through a proxy, please click the [Use Proxy] link to enter the address of your proxy server. There may be a short delay whilst your installation is authenticated. Once authenticated, the installer will then proceed to download, install and automatically configure MIDAS on your server. This process may take a couple of minutes. Do not reload your browser if there appears to be no activity for a period of time. We've compiled a list of common issues encountered during install, together with resolutions, which you can find in our Installation Troubleshooting article.